At Apple's big iPhone launch this past week, the Apple Watch stole the show. The medical world and the $3.3 trillion spent on healthcare annually is one of the few markets in the world that's still worth the notice of Apple and its vaunted $1 trillion valuation. 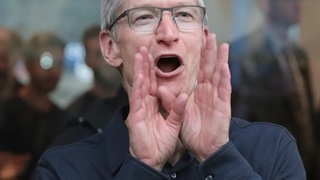 Apple's main moneymaker is the iPhone, but analysts and the press can't help but speculate about the trillion-dollar company's next big thing. Is it a car? Maybe a pair of smart computer glasses? But the future of Apple is already on the market, and it's selling about 18 million units per year, according to estimates. You might already have one on your wrist. It's the Apple Watch, the wearable computing device that the company first released in 2015. Nowhere was this more clear this past week at the company's annual iPhone launch event at its Apple Park campus. 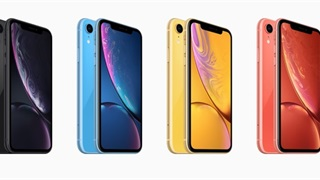 Yes, Apple revealed new iPhones. But it spent about an hour on the new Apple Watch, which got a much bigger reaction from the crowd of 1,000 Apple reporters and analysts attending the launch event than any iPhone. 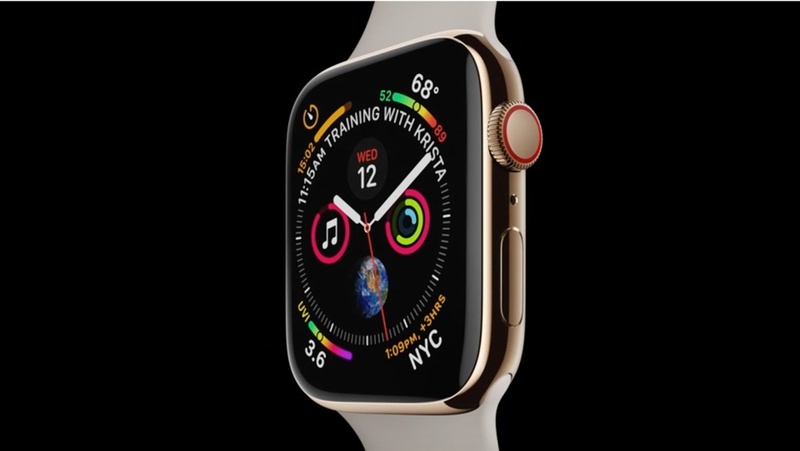 The Apple Watch Series 4, as Apple calls the new models, represent the first new update to its industrial design since the device was first introduced in 2014. They're thinner, they have a bigger screen, and sport improved speakers and microphones. They also come with a ton of new watch faces, including moving images of fire and water filmed with a high-speed camera, alongside some new looks for the operating system. There are a lot of big changes. The new watches make old Apple Watches look clunky and obsolete. Basically, the Apple Watch just had its coming-out party, all over again — a clear sign of where Apple's technical ambitions lie, as the iPhone faces diminishing returns, with each model representing only an incremental step over the ones previous. Which is to say, it really feels like the Apple Watch has turned a corner. 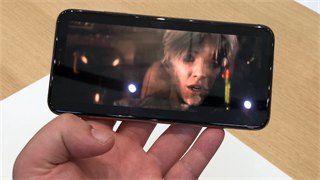 It "will be a more marked tipping point in understanding and adoption of the product," Apple's head designer Jony Ive told the Washington Post. Yes, the smartwatch market is still much smaller than that for smartphones. According to IDC, a market research firm, companies will ship 46 million smartwatches this year, a meager fraction of the 1.5 billion smartphones that will find their way into buyers' hands. But that's not how Apple is looking at the Apple Watch. 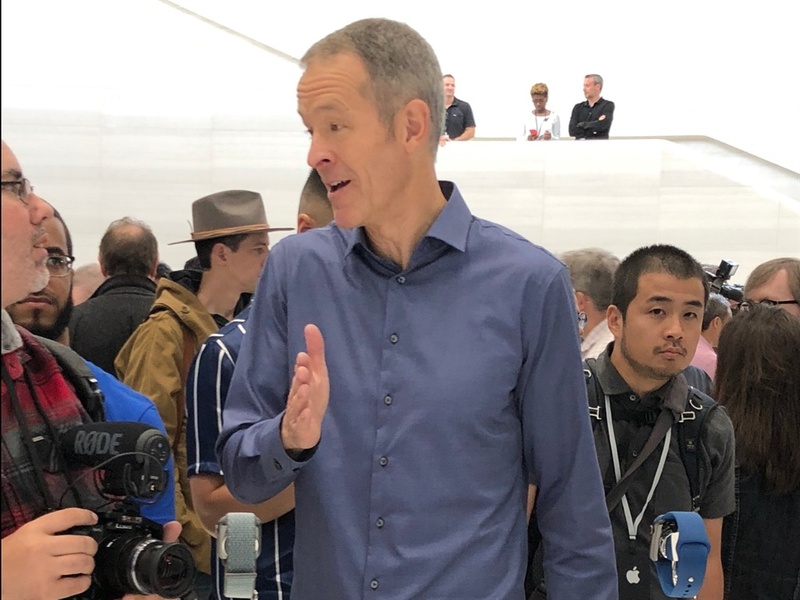 On Wednesday, the new Apple Watch features and design were revealed by Apple COO Jeff Williams, who is often described as CEO Tim Cook's right-hand man. Unlike some of Apple's other presenters, he's not an engineer or a marketer — he's an operations whiz, a businessman who specializes in ensuring that millions of complicated computers are manufactured and shipped so that they are in stores on time. He's also in charge of Apple's burgeoning health department. And Wednesday's presentation was all about how Apple Watch can help a wearer live a more healthy life. But the device's new features aren't just about helping you track a workout, or reminding you to take a second to breathe deeply, like current models. Apple is going a step beyond, actually detecting when something is wrong before you even know it. For example, Apple Watch now has fall detection. Many aging seniors wear bracelets that can call 911 or a loved one when they take a nasty fall and can't get up, like those advertised by Life Alert. Now, the Apple Watch can do that, too. It remains to be seen whether seniors will embrace the iPhone, which is still required to use an Apple Watch, or whether they'll love the idea of charging an Apple Watch on a regular basis, which they don't have to do with dedicated monitoring devices. But now there's a reason for seniors to get an Apple Watch that's not related to working out, or to getting notifications from iPhone apps — features that younger users may love, but that could alienate an older, less tech-savvy generation. The other new feature is a built-in ECG reader, or the gold standard that doctors rely on to detect heart issues. Apple is careful — most likely because of regulatory pressure — to say the Apple Watch's new ECG scanner can only tell a user they might want to go to to a doctor, not diagnose an issue, but that's still what most people need from a health gadget: an early warning system. This means that the Apple Watch isn't really about the burgeoning smartwatch space, but rather a slice of the $3.3 trillion spent on healthcare annually, one of the few markets in the world that's still worth the notice of Apple and its vaunted $1 trillion valuation. That's not to say that Apple Watch doesn't face issues. One was clear from Williams' jokey line on stage: "People in general don't like things that are medical. This kind of makes you want to take an ECG," he said, referring to a new heart animation on the watch. He's right: People don't want to think about death, or sickness. As one venture capitalist who attended the launch observed to Business Insider: If you look at Apple's advertisements for the Apple Watch, they all feature young people having fun. But if the Apple Watch is to become material to Apple's massive bottom line, it's going to be used by many different demographics and groups, including the infirm, which could tarnish the cool, fashion-adjacent image that Apple has spent millions creating. Plus, health is a very highly regulated industry, which poses potential issues for a company that sometimes strains the truth in its marketing — I'm not sure the FDA likes when health devices are called "magical" and the "best we've ever done" during widely watched keynotes. Still: In terms of Apple's technology ambitions, it's clear that the Apple Watch is where it's happening. It's where Apple is making the most improvements in miniaturisation, in materials, in new kinds of sensors, new kinds of experiences — and new kinds of customers.